Home/Switching to Solar/How long will my solar panels last? There’s one thing that always tends to be a struggle in all areas of technology, and that’s durability. We typically need to replace our phones, laptops, and sometimes even cars after just a few years. But this isn’t the case with solar panels. When you invest in solar, you invest in technology you can rely on for decades to come. Solar panels don’t include fragile parts or pieces; they’re made to live on your roof through anything nature can throw at them. 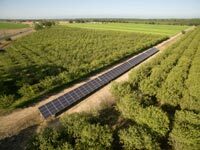 Homeowners and businesses who installed solar decades ago have found that the panels are still fully reliable. Some of the solar panels we see today have been around for more than 30 years — and they’re still getting the job done. Solar technology has only gotten better through the years. Today’s solar panels are just as sturdy and durable as the older ones, but they’re also more efficient, lighter in weight, and easier on the eyes. 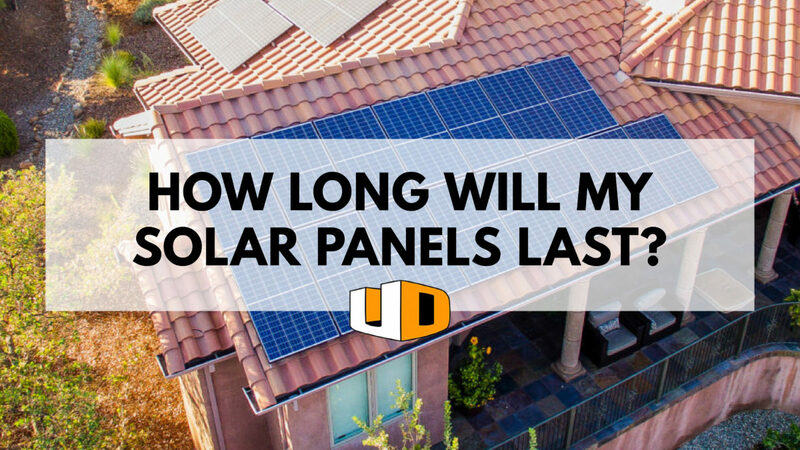 If you install solar today, you can expect your panels to last 35 years or more. What happens when solar panels start to get old? It’s true that after 30 years, your solar panels won’t be as efficient as they were on day 1. The efficiency of your solar panels will decrease a tiny bit each year — and we do mean a tiny bit. The actual decrease is about half a percent. This small decrease is due to long-term water exposure and temperature changes, which wear down the materials just slightly over time. Your panels will still be about 86% efficient after 30 years. This is still enough to offset how much you’d have spent on energy without them. And besides, what else can you think of that still functions at 86% after 3 whole decades? Will any of the parts need to be replaced? 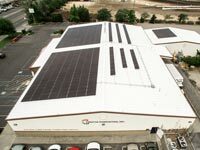 Solar panel systems include an inverter, which may need replacing after about 10 years. The inverter’s job is to take the energy from the solar panels and convert it into power that your home can use. The newer kinds of inverters are highly durable, and you can expect them to last more than 14 years. Just how durable will my solar panels be? Solar panels are made from crystalline silicon covered in very strong glass. In addition to their simple design, their sturdy construction makes them very resilient. They’re even used in outer space! This is partly because they’re one of the most effective ways to gather electricity, but it’s also because solar panels can endure the extreme exposure of outer space.